Nutella and Strawberry baked a cupcake. Got a lovely surprise package in the mail yesterday for the 2013 Holiday Craft Exchange! 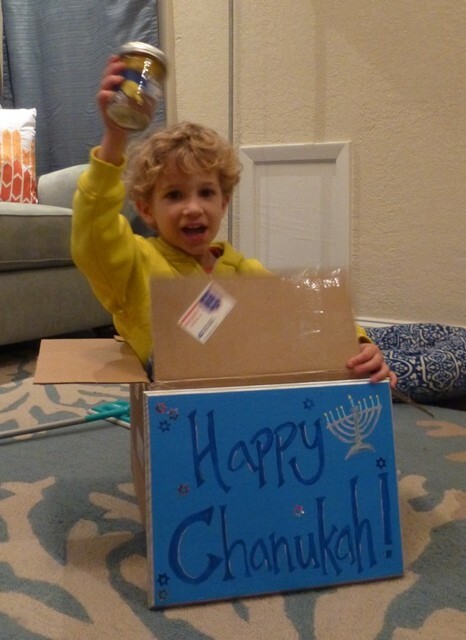 We all had fun opening it by the light of our Chanukah candles and to our delight discovered a beautiful hand painted Chanukah sign and a cute homemade dreidel/ glitter snow jar! Curly was so happy to hang the sign on our door, and then of course, he commandeered the box for many adventures! The giver is someone new to me, Bloggity Bloo over at Bliggity Bloggity Bloo. Thank you so much Bloggity, and good luck on your not-discussed TTC journey, I hope it is a short and easy one. The sign will be part of our decor for years to come, we love it! I’m cheating. 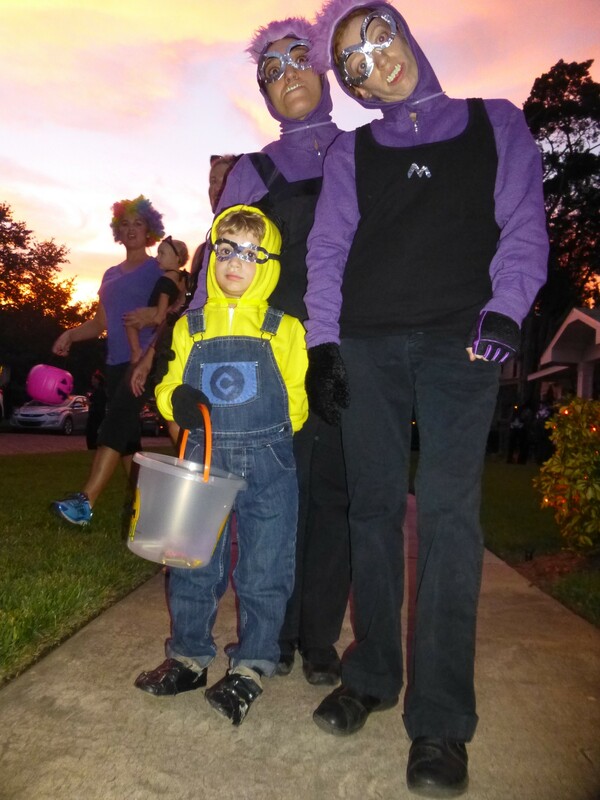 Here’s a picture of us from Halloween night, beautiful sunset visible in the background. I’m sorry, but you don’t get a photo of the creepy crawly that we found in our bathtub last night. Let’s just say that where we live they are politely called “Palmetto Bugs”, and this particular specimen was approximately 5 inches big. Curly pointed it out by saying “Ima, there’s a bug in the bathtub” to which I responded, “ok, I’ll kill it.” But then I saw it. Yeah, too big to kill, so it was captured and released far from the house with many squeals of horror. You’re welcome. Sorry we missed last weeks photo Friday, We had just closed on our new house! Finally! In the end there was a two-week delay from our initial close date, and a few nervous breakdowns. I’ll post details of it a little later. 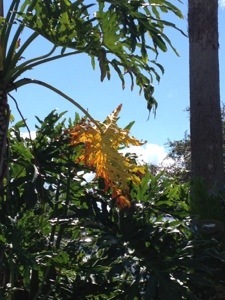 For now enjoy some autumn leaves from a tropical location. PS-This is my first post using the WordPress app from my phone! Hopefully by the time you read this we will be homeowners again. Stay tuned! In the meantime, S at An Offering of Love and Jackie at That’s a Lot of Esses have brought back a Fall themed Foto Friday. Now that we live somewhere tropical, our photos may be a bit different from the rest of our fellow North American bloggers, but there is at least one Southern Hemisphere participant, so there should be plenty of variety! You can join in here. Today’s prompt is: Baked Goods/ Sweet Treats. Longtime readers will know this is a specialty of mine, but we’ve been living in a furnished rental for a month, without a dishwasher or all of my assorted pans, gadgets and cookbooks, so please forgive the relative simplicity of my offering. Of course, that doesn’t make it any less delicious! Posted on February 12, 2013 | Enter your password to view comments. Sometimes, if I have a little extra time in the morning, I’ll make myself an egg (over medium) with a veggie sausage patty and a piece of whole grain toast. If this happens on weekday, I cook and eat it standing at the kitchen counter while getting everything else ready. Curly is eating at the table around the corner, and can’t see me. Today, I thought it might be nice for all 3 of us to actually sit at the table together and eat, so I brought my egg plate to the table, where Strawberry was having her coffee and Curly was having his waffle and fruit. Sure enough, he began asking me for the egg, and then for the sausage. After a few nibbles of each, I offered to make him his own after I finished mine. He impatiently waited for me to finish, and then I got up to make him his own. He ate about 1/2 the egg, and all the sausage patty, after having already eaten his toaster waffle, fruit, cereal, and milk. Seriously, I don’t know where he puts it! And from now on, I’ll just eat my eggs at the kitchen counter in peace!! 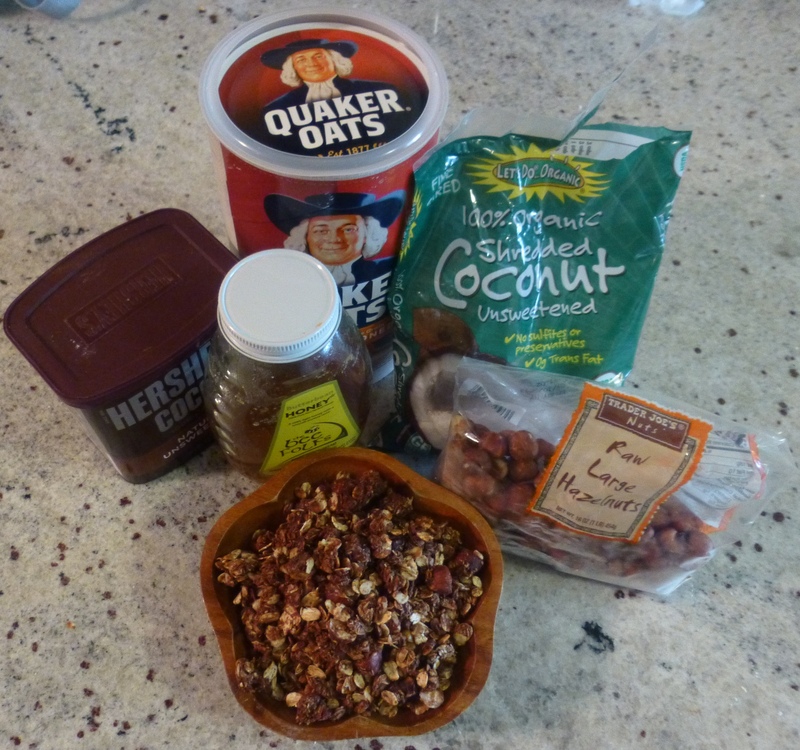 We’re ready for the storm over here, and wish all the Mid-Atlantic and New Englanders good luck! !